"Life is going on in the West of Ireland. 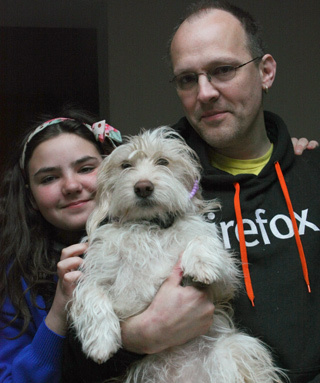 My wife had a large operation and I was laid off working full time as a software developer. Instead I have decided to build up a music production career and dedicate more time to addons development. You can help best by buying a Pro license but donations are also welcome. If you need a voucher for a reduced license please contact me through the email address below. Thanks again in advance. 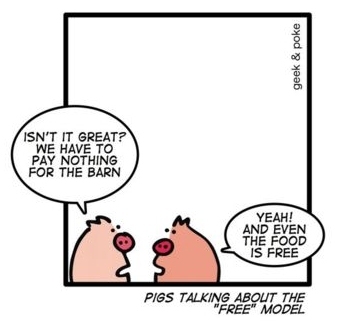 ..."
As users, we like to use the software the way we want, and we more or less expect it to be free of charge. The question is what do the commercial software vendors make of this? Since the advent of facebook is a shift of users (and their data) from being the customers becoming the merchandise, and the corporations becoming the customer. This is because even the best community sites cannot operate without profit. The web is already overfraught with advertisement and data mining - The alternative is truly Free software that is funded by donations. I don't want to fund SmartTemplate⁴ through pushing advertisements on the users. Also IMO the user's data is something that belongs to only them; it is not a commodity for companies to trade and play with. 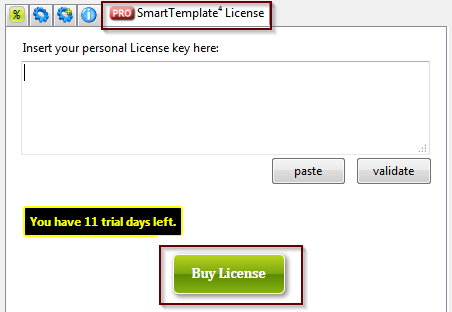 You can use SmartTemplate⁴ Pro on as many Thunderbird installations as you like as long as it has your registered email address on it. The registration email address is not given to any third parties or used for marketing purposes, it is only used for order fulfillment and license verification. Validation is 100% offline and your key is not transmitted anywhere. Not ready to buy a license yet? You can still help by donating some money using the paypal links below! I love SmartTemplate⁴ - it makes my emails look awesome! I want to buy you a coffee! Any Questions? If you actually have donated already or only like freebies (yes, there is them...) please recommend SmartTemplate⁴ to your friends and colleagues! US$ donations: we suggest 10$ as that seems to be be a what most people like to donate - but of course smaller and greater amounts are always welcome. Euro donations: 5 Euros would be nice and 10 Euros or more considered generous! Your tip is important to make SmartTemplate⁴ even more excellent! 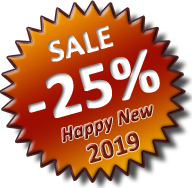 If you can'ty afford it right now, consider it at the next update - in the meantime, recommend to friends and colleagues. You can also add some feature requests here: Bugs & Features. You can also leave a positive review at the Mozilla Addons Page - spread the word so more people start using it! What does it mean then, free software ?? The reason I am putting a lot of work into SmartTemplate⁴ is because I am using it every day, in order to make my daily work easier. I think it also important to share any tool that makes working easier and allow improvement of the tools. I think the most important aspect on free software is that it is a political statement to avoid the pitfalls of proprietary, monopoly driven software that coined terms such as "Embrace, Extend and Extinguish" and the innovation crippling model of patenting software (for further reading, please see links below). At the moment there is a conflict raging between the old proprietary model of software and the Free Software Concept, and its you, the users who will really decide where the future will take us. By downloading the Mozilla products and extensions by independant software developers, like SmartTemplate⁴, you are actively helping the cause. Quote: "Free software" is a matter of liberty, not price. To understand the concept, you should think of "free" as in "free speech," not as in "free beer." It is also important to note that you can always modify SmartTemplate⁴ as it is open source and send me improvement suggestions. Or you can use features in the existing software and use them in your own extension, provided you stick to the license (you can not create commercial versions of the extension and you need to attribute / credit the original authors). I have tried to make the code as readable as possible, so that you can check how SmartTemplate⁴ achieves its various goals. The Web of Freedom - but how much longer? The web is changing very massively over the last years. This requires rethinking on how we use this community resource. Community Sites are gaining a big amount of the power and the market share, the "login with facebook" idea is now trying to lock our identities into their systems; building huge silos that lock in our data in order to keep users "within" their systems; and while the web is still an open place and there are lots of "login with facebook" buttons, yet it has become increasingly difficult to move our own data, determine when and where it is used and stored. This is because in this new model, the users become the merchandise and the corporations become the customers. It is because in a "free" world this seems to be the only way to generate some revenue, and believe me that community sites such as facebook are _not_ there to server the users. Like anything else they are there to make money. The question is whether financing by loosing the ownership of one's own data and getting channeled into advertisment slots, is really the way we want to go? I think that the donation model as such works, although I wish more people of the daily users (currently about 3,100) would take the time to donate some money. There is only a minute fraction who actually click the donation link. So, if you've found SmartTemplate⁴ to improve your work or business productivity, please take a moment. I _really_ appreciate the support. Thanks again in advance. One thing that I think is a bad idea is to try to use advertisement or constant "nagging" at the users in order to earn some money. The only time you will hear from me is when I release a new version, usually with new usability features and bug fixes. I am actively refusing extensions that try to do things like add advertisements, change browser links (by adding referrers) or redirect users in order to achieve this, there is a very fruitful discussion on the ATN Editors team who constantly review issues that the users bring to our attention around this topic. However, I also acknowledge that it is an inconvenience and a bit of a leap of faith to make a donation, so I would like to sincerely thank you for reading this and considering.